In fact, electric cars and cars are the same as consumables, with the longer use of its performance will gradually decline, so we as much as possible in the use of the same time to do maintenance work to extend the life of electric vehicles. So how should the daily electric car battery maintenance? The battery to choose a good quality brand, will be more peace of mind, followed by the selection of a good charger. 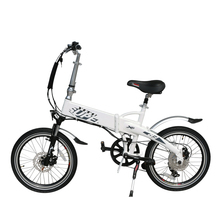 The industry is widely circulated sentence is: the battery is not bad, is filled with bad. So the choice of charger is very important. Long-term does not apply to the battery, the first battery should be fully charged, and then 2-3 months to add a power, so you can avoid the battery curing, if long-term regardless of, then the equivalent of scrapped. 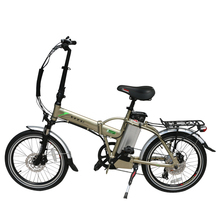 Now in the street can be seen everywhere coin quick charge station, which is convenient for a lot of electric car ride, Electric Motorcycle but this way the battery damage is very large, it is easy to lead to reduced capacity, thereby reducing endurance, reduce mileage. Electric car battery charging time is generally a red light jump and then float two hours can be off the power, but some people used to charge at night, the next morning in the pull out the power, not knowing that this behavior will cause a serious burden on the battery, Affect the service life. Therefore, it is recommended that consumers charge during the day, so you can wait until it is full after the power cut off. Electric cars must not be able to drive, each time the electricity to the top of the red light when the time must be charged, even if the new car can not wait until the battery is completely exhausted and then charge, and if the road in the way of sudden power shortage situation, You must also save the remaining power, switch to human pedal, must not save the battery to run out of trouble. Long-term loss of use will speed up the battery life. Select the battery when the best choice for high quality, good reputation of the brand battery, such as Asahi battery. Good brand battery quality is very strong, the service is also better, sales, customer service, technical support, maintenance and other aspects of the building was very perfect, can give consumers a better after-sales service. (1) check the electric car battery shell, shell cover and sealant, should be no rupture. (2) check the battery installation, must be reliable, wire and pole tower iron and other connections must be strong. (3) Brush the battery outside with hot water and dry it. 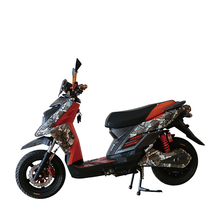 Clean the surface of the battery with a clean cloth or cotton yarn, Electric Scooter with pedalsr emove the electrolyte from the battery cover, keep the battery and connect the wire clean, dry, check the pole, should be no loose. (4) to remove the electrode and wire connector on the oxide, prohibited metal debris and other debris into the battery. (5) Check the starting cable, if damaged must be replaced, and can not beat the battery, this is because the battery lead plate is extremely low, very fragile, not because the battery function and beat, resulting in shell rupture, pole Plate damage.